Dyrberg Kern have created this quirky beaded bracelet. 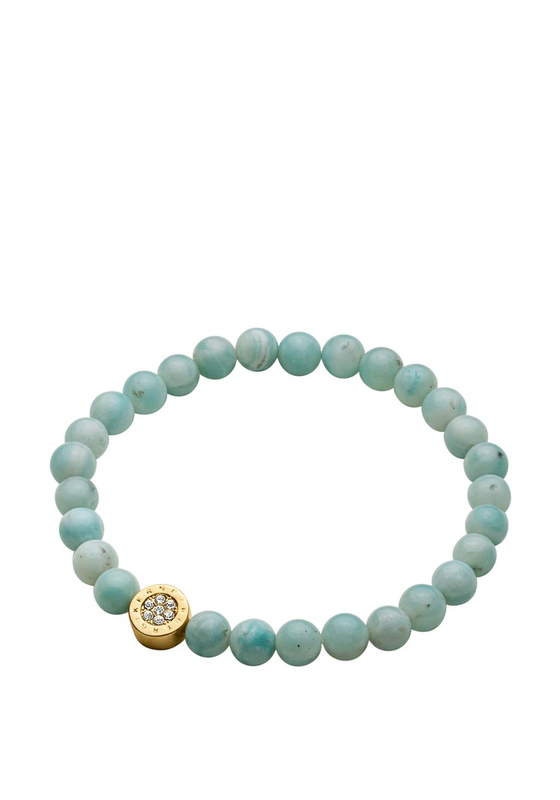 The bracelet is made up of many genuine semi-precious gem stone beads that are a mint light green that sit on an elasticated band. To add some sparkle and glam they have added the perfect gold element encrusted with white diamonds on either side of the element. Team up with the Valley ring also from the collection to get the full beaded vintage look.